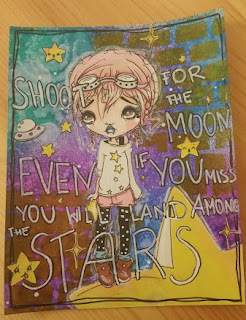 The Craft of Mimi: Starla Jones mixed media page. Starla Jones mixed media page. Recently we received bad news concerning a passing of a close family member. I have been so upset I felt no joy in crafting. But now I decided there was a time to pick myself up and this sentiment made my smile. 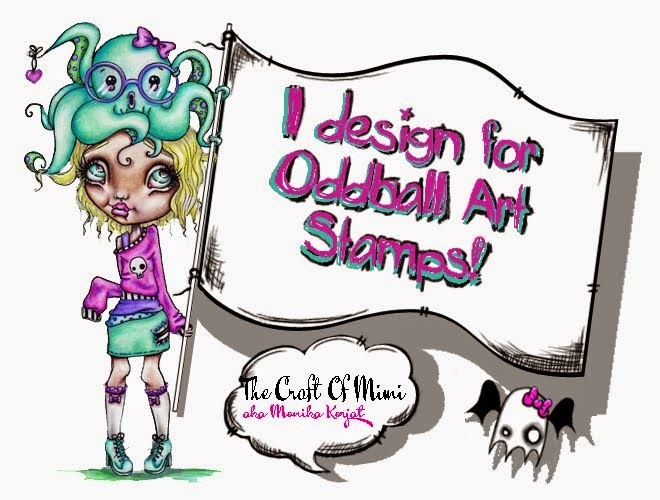 Jump to Oddball Stamps blog page and take a look at this months challenge: Die Cuts. I used Dylusion sprays for the background with ghost masking technique. Afterwards added gold stain paint by Ranger to create the the brick effect . Afterwards added the digi stamp ( I used my pro markers to colour the image) with the stars die cutting them and glueing into the paper. Unfortunately I had not planned my sentiment too well and had to squeeze the words for the quote. At the end I used wink of Stella to add a bit of shimmer to the page. I used a digi stamp from the amazing Lizzy Love. You can find this stamp here. 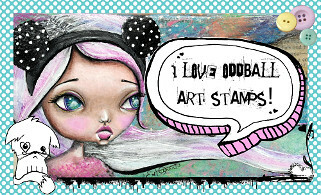 Have a loot at her amazing Oddball Arts Stamp shop on Etsy. I am adding this page to the following challenges. The Craft Barn - Words. Simon Says Stamps - Anything goes. A great sentiment and a fabulous page. I really like this sentiment, I hope you are feeling more like crafting now, bereavement is so hard, luckily crafting helped me through losing both my parents in the last two years. I hope you are back there soon. Thank you for joining in The Craft Barn Challenge.